The Group | Pelham Media Ltd. Founded in 2000 by two former journalists from The Economist and joined in 2012 and 2014 by passionate design and events entrepreneurs, Pelham Media Ltd. advises Global Fortune 500 companies with its agencies – WordAppeal, Pelham Media, L’Éclaireur, KCO and Alto. In April 2016, Pelham Media Ltd. and Les Echos-Le Parisien Group joined forces to create a leader in native content (+). Since 2011, we have helped this leader in responsible energy transform its corporate digital ecosystem into a worldwide leader in digital communication. Capgemini recently celebrated its 50th anniversary… and WordAppeal helped the Group make it special by offering an exclusive 360° platform with a video timeline, movie, websites, events, etc. Since 2002, we have helped Air France’s digital division promote the concept of travelling the “French” way (à la française) via agile and efficient content creation. WordAppeal coordinates the American tech leader’s France blog, updates its site with client testimonials and also helps produce videos and white papers. Pelham Media assists FIFA in promoting football on a global scale: coordinating the global network of associations, producing videos, optimizing internal digital platforms, etc. ‘The bank for a changing world’ revamped its corporate site in 2016 and continues to update its content with WordAppeal’s help. The agency also provides similar services for Cardif and BNP Paribas Real Estate. WordAppeal accompanied AccorHotels to coordinate its various social networks: corporate, HR, brands, etc. Since 2001, WordAppeal has supported the ORANO Group’s various entities in redesigning their internet and intranet sites, coordinating their communication networks and producing newsletters. WordAppeal produces video portraits of each Award winner and organizes these Awards ceremony. WordAppeal accompanied the Group in its UX, editorial, design and technical overhaul of www.legrand.com and coordinated its social media accounts. Using live video coverage, Pelham Media supported post men and women from La Poste in their mission to report on the top innovations at CES 2017. The result: over 1 million views on YouTube. Every year, KCO organizes the Challenge against Hunger (Challenge contre la faim in French) which brings together nearly 5,000 employees at the La Défense business district near Paris for the largest inter-company athletic challenge for charity. The French sugar co-op chose Pelham Media to redesign its website, provide editorial support on its internal communication platforms and manage its social media presence. The mission: to set up a task force bringing together all the expertise of Pelham Media (and several dozen employees) to design and produce all supporting elements and events for the new Group… in 5 weeks! WordAppeal accompanies Valeo in its quest to make its communications strategy smarter and more digital, notably in the context of the Valeo Innovation Challenge and the new valeo.com website. WordAppeal coordinates CEO Alexandre Ricard’s social media accounts, and supports the digitalization of the Group’s internal communications. Pelham Media has accompanied the digitalization of ENGIE’s communications since 2005: internet, intranet, internal social network, dynamic display, etc. Pelham Media helps Orange convey its vision of Human Inside in its communications for corporate, B2B and start-up targets, through digital, video, live events and print media. WordAppeal delivers 360° digital support—UX, design, and content— to help French jobseekers find their ideal job and companies to find their candidates. WordAppeal accompanied LafargeHolcim in redesigning its corporate and commercial websites, coordinating its social media accounts, and providing on-site editorial support. 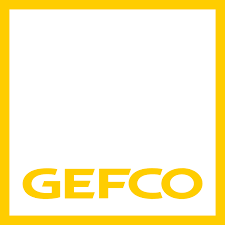 WordAppeal manages the production of GEFCO’s print and digital internal communication platforms, notably Hub, GEFCO’s internal magazine. WordAppeal coordinates the print and digital communication platforms intended for the Group’s corporate stakeholders and clients. WordAppeal delivers comprehensive UX and design support for the Group: overhaul of www.cic.fr and other sites in its ecosystem, as well as social media management. Pelham Media produces print and video brand content in the newspaper Les Echos for the tech conference’s 20 corporate partners. KCO supports WWF France in organizing the Pandathlon—an outdoor, eco-friendly charity event for friends and coworkers—by offering organizational solutions for every step of the event.